The article cited language barriers, lack of after-school care, homelessness, and mobility as “out-of-school” factors affecting low-income students. These are exactly the types of supports and services to which our School Site Coordinators connect students and families, in addition to enrichment opportunities like music, art, and athletic programs. We believe that this comprehensive method of delivering student support makes students better able to learn and thrive in school. 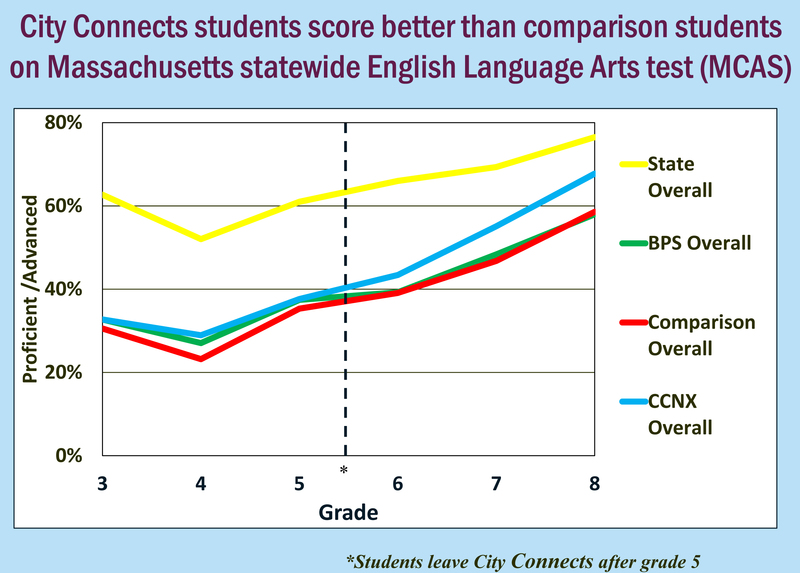 Our results show that City Connects (CCNX) students outperform their Boston Public School (BPS) peers on MCAS English Language Arts and Math, even after they leave a City Connects school and go on to middle school. 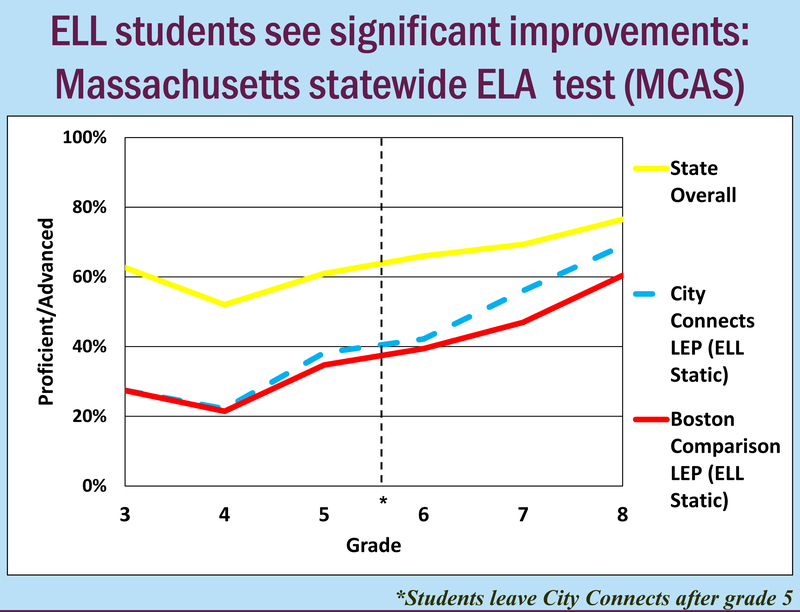 The graphs below shows MCAS ELA results using 2009-10 data; City Connects students approach the state average by grade 8. To give you an idea of low-income status, 82% of our City Connects students in 2009-10 were eligible for free or reduced-price lunch. We think this is strong evidence that student support is a powerful mechanism that can help narrow the achievement gap.